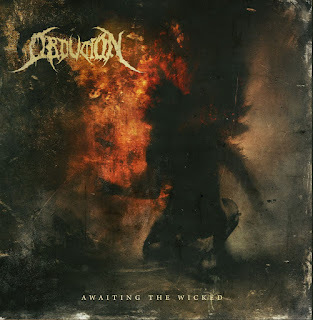 "Awaiting The Wicked", is the fourth full-length album from Greek death metallers OBDUKTION. This band being originally founded back in 1995, over time releasing numerous content, along with playing shows and touring as well. As for this latest works of theirs comes this album "Awaiting The Wicked", consisting of 8-tracks that should bring fans of Asphyx, Gorefest, Vital Remains, along with many others like Deicide, Grave, and even Decrepit Birth. For instance the similarities of sound from these acts can be heard a lot within such tracks off this album including such as “Murderous Sanity”, “Devour The Soul”, “Incantation Of Chaos”, and “Consumption Of The Flesh”. Each one of these tracks sounding fierce and very intense. The energy given is very direct and in your face, providing this wave of torment with just the vocalization, letting the melodies of the instrumentals back it all up. In other words, the material just stands strong, never letting loose, but keeping a firm grip hold that holds tight, giving you everything at once. It’s how the whole album sounds off pretty much. OBDUKTION’s fourth album to date that is this one, “Awaiting The Wicked”, is downright lots of fun and very fulfilling as a wholesome piece of classic death metal to its finest fold.